Most of us do not like to eat green vegetables; thanks to their bitter taste. What we generally forget is how healthy greens are. A study presented at Nutrition 2018 has claimed that eating healthful plant-based foods may help lower the risk of chronic diseases like weight gain and heart problems. 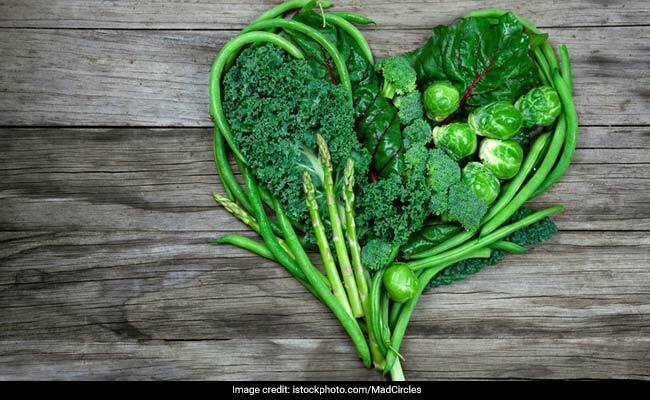 In a study of about 6,000 people based in the Netherlands, those who ate more plant protein at the expense of animal-derived protein showed a lower risk of developing coronary heart disease during a median follow-up period of more than 13 years. Another study of 4,500 Brazilian adults found that people who regularly consumed plant-based protein were nearly 60 percent less likely to show evidence of plaque in the heart's arteries based on coronary artery calcium scoring, a measure of plaque build-up commonly used to assess heart disease risk. Another research found that following a vegetarian diet had a lower number of risk factors for heart diseases and diabetes, including a lower body mass index, smaller waist circumference and lower amounts of abdominal fat, lower cholesterol and lower blood sugar as compared to people in the same demographic group who ate meat. Moreover, a study of nearly 30,000 US adults suggested that the quality of plant-based foods in the diet was more important than the quality of animal-based foods. Better choices in the plant-based components of the diet lowered mortality by 30 percent while higher quality animal- based components had a little effect on mortality. The beneficial effect of high-quality plant-based foods was even more pronounced among people with chronic health conditions. Kale is one of the healthiest foods and makes for a great powerhouse of nutrients. It has essential proteins, vitamin A, vitamin C and vitamin K and is super low in calories. Popeye loved spinach and so should you. Its consumption has been associated with prevention of asthma, blood pressure, promoting healthy looking skin and hair and the management of diabetes. Swiss chard makes up for a big part of the Mediterranean cuisine. The stems of the leaf come in an array of different colours making it a wonderful addition to the salads. It's a leafy green that has vitamin K, vitamin C, vitamin A, magnesium, copper and manganese. Artichokes are a powerhouse of nutrients that promote health. It helps keep your heart healthy and help regenerate liver tissue. Broccoli has protein, dietary fibre, vitamin C and folate. All these nutrients assist your digestive, eye and heart health, further preventing various chronic diseases. Asparagus has unique anti-inflammatory properties. It is rich in antioxidants like beta-carotenes, vitamin C and vitamin E, all of which help to combat cell damaging free-radicals in the body. Celery is one of the least calorie dense green veggies. It helps reduce inflammation, aids digestion, reduces bad cholesterol and makes for a great snack. Mustard greens are rich in vitamin K and one cup contains a large amount of vitamin A that helps promote eye health. Moreover, they contain antioxidants that help detoxify the liver and also lower cholesterol. Watercress has low calories to add up to. It's known to contain various nutrients that promote overall health. Zucchini is great source potassium and B vitamins and is super low in calories. They are generally rich in antioxidants and have anti-inflammatory properties that support health.